Ashgabat, a city of white polished marble and gleaming gold sunken into the blazing Karakum Desert, beguiles with peculiar juxtapositions and eerie boulevards. Stretching for 440 square kilometres and home to over 1 million people, it is the capital and largest city of Turkmenistan in Central Asia. Attractions include the National Museum, Arch of Neutrality and Independence Square. Be baffled and bewitched by a city that follows its own offbeat rhythm with cheap flights to Ashgabat. Ashgabat International Airport (ASB) is the hub airport of Ashgabat. It is a 30-minute drive from the centre of the city. A futuristic sprawl of luminous white marble threaded with eerily empty boulevards and bizarre gold trimmed attractions have earned Ashgabat a reputation as one of the strangest places on earth. 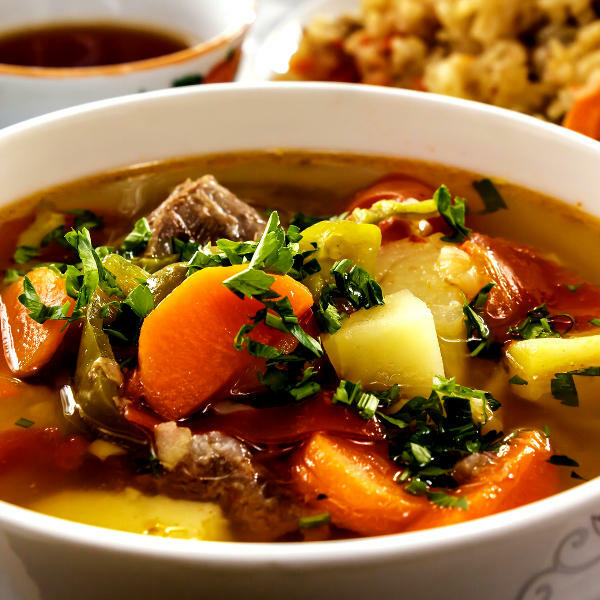 The culture of Turkmenistan is as unique and remarkable as the city itself. Woven carpets with traditional ghels are legendary, while melons, music and cuisine are significant to Turkmen culture. Ashgabat is an attraction in itself; but a number of attractions are must visits, such as the Arch of Neutrality, Carpet Museum, Statue of Lenin and the Palace of Knowledge. Ashgabat experiences a dry desert climate, with hot, dry summers and cool, short winters. Average temperatures range from 46 degrees Celsius in summer to - 5 degrees Celsius in winter. 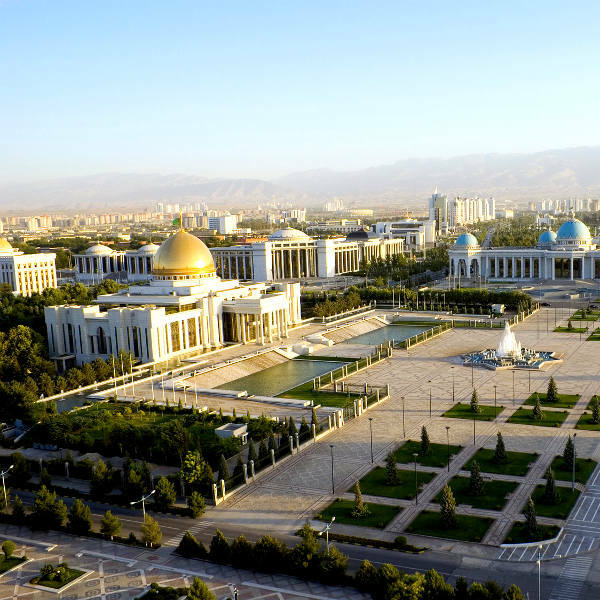 The best time to visit Ashgabat is during spring (March to May) and during autumn (September to November). These months offer pleasant temperatures compared to the searing heat of summer (June to August) and bitter cold of winter (December to February). For cheap flights to Ashgabat, the best time to visit is during the summer months. Ashgabat (also Ashkhabad) is tantalisingly tragic and enchantingly fearless in its pursuit of immortality. It is a city that has proven to be indestructible. Since emerging from the ruins of Konjikala, a tiny Silk Road city, it was destroyed by an earthquake, ravaged by the Mongols, and levelled by another earthquake. But neither of those calamities could keep it down. Despite ruination, Ashgabat (which means ‘city of love’ in Arabic) rose again, only this time, far brighter and stranger. Today it is considered one of the strangest places in the world. 4.5 million cubic metres of pearlescent marble set against a backdrop of manicured lawns and wide boulevards give the city an air of futuristic surrealism and have earned it a place in the Guinness Book of World Records. By day, Ashgabat will mystify you with its bizarre tapestry of traditional bazaars, gold-domed palaces, and Bellagio fountains; and by night it will seduce you with its neon-lit streets and jagged Turkmen rhythms. Compare several airlines, and book your cheap flights to Ashgabat online at Travelstart. 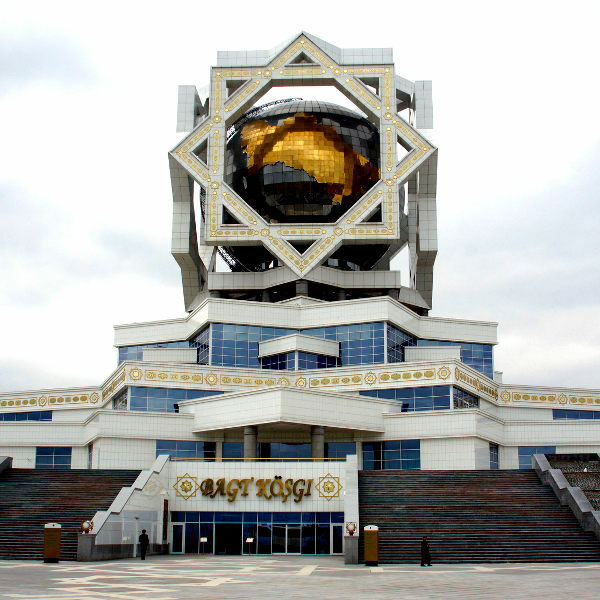 Although Ashgabat is a relatively safe city, certain precautions should be taken. The city also follows its own local laws and customs, which you will be required to adopt and respect. You should familiarise yourself with these before arriving in Ashgabat. Travel insurance to cover theft and medical expenses is highly recommended. Avoid travelling alone, and through deserted areas (especially at night). Rather make use of registered yellow taxis. Fares should be agreed on beforehand, and should only be paid in local currency. Police and military are present throughout Turkmenistan, so you should keep some form of identification with you at all times. Visitors who are unable to produce identification may be detained. Avoid rallies and public demonstrations. Avoid drinking tap water. Proof of yellow fever vaccination is required if you are travelling from a yellow fever endemic area. Immunisation against Hepatitis A & B, cholera, typhoid, and rabies are recommended. Other recommended vaccinations include MMR, diphtheria-tetanus-pertussis, varicella and polio.